ESO Supernova Exhibition — How are planets born? 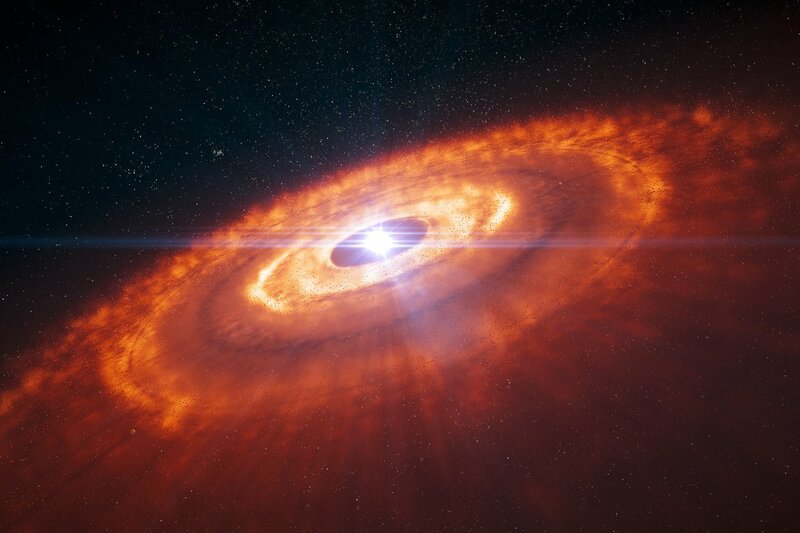 To build a planetary system, all you need is a cloud of gas and dust surrounding a young star, and lots of patience. Gravity does the rest. 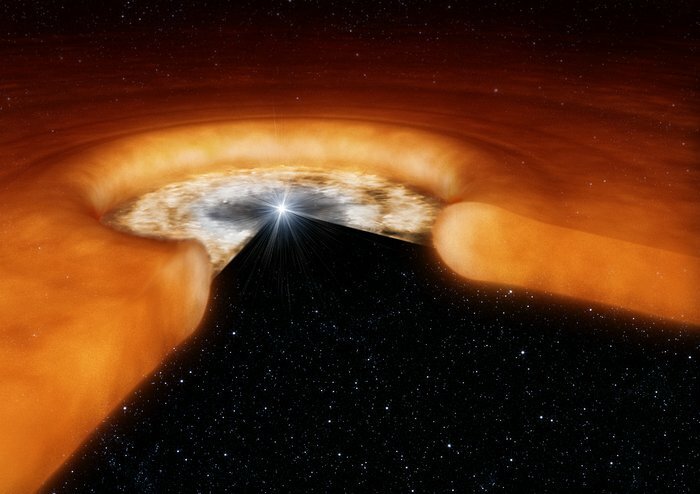 Inside information: A protostar is surrounded by a thin, hot inner disc of gas and a thick, cooler outer disc that also contains lots of dust particles. Side view: A dusty protoplanetary disc surrounding a newborn star in the Orion Nebula is seen edge-on in this Hubble Space Telescope image. Stars are born from collapsing clouds of gas and dust. Most of this material ends up in the central star, but a few percent or so form a flat, rotating disc around the star. Over a few million years, small dust particles within this disc grow into centimetre-sized pebbles — the first building blocks of planets. 4.6 billion years ago, our own planetary system grew from such a disc. 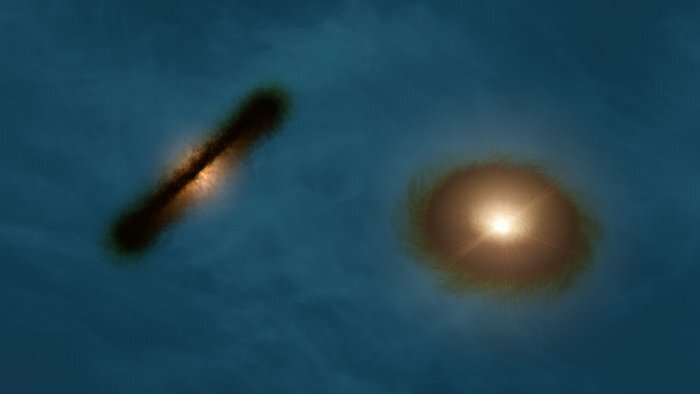 Because of their planet-forming potential, these discs are known as protoplanetary discs, or proplyds for short. Bull’s eye: Rings and gaps in the observation of the disc surrounding the young star HL Tauri hint at the existence of planets in the making. Binary potential: Two solar systems in the making? Each star in the young binary HK Tauri is surrounded by its own protoplanetary disc (artist’s impression). Starting with tiny snowflakes, you can make larger snowballs and giant snowmen. Likewise, small particles of gas and dust can grow into planets.